“Inclusion” according to the Anglican Unscripted team is a Marxist codeword, or at least a “cultural Marxist’ one. Speaking as a Special Olympics parent can I beg to differ? 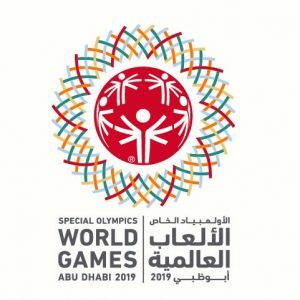 I spent last week in Abu Dhabi as a parent/supporter for the special Olympics World Games. With 7,500 athletes, 20,000 volunteers it was a large humanitarian and sporting event, and with the exception of ESPN possibly the most under reported sporting event of the year. Its aim is inclusion – with the aim of welcoming people living with an intellectual disability into Middle Eastern society. The special Olympics has a track record in this. 12 years ago the games were held in shanghai, in deliberate attempt by the Chinese government to change the status of people living with an intellectual disability – now there are a million Special Olympics participants in China. Proclaiming 2019 “the year of tolerance”, the United Arab Emirates government want to achieve the same response. They know that especially in the area of employment they have real work to do. The USA deserves congratulations too. The Special Olympics, founded by Eunice Shriver, is one of their best exports. For an Australian, it was a strange feeling hearing the news of the Christchurch massacre in a welcoming Islamic country. I confess things seemed back to front. Mini-skirted Europeans and abaya-wearing Emiratis mixed easily at the games. The strangest thing about going to church was doing it on Friday. The Israeli team marched into the Zayed stadium just like the others. I was glad to see them there, but glad all the same that the Aussie men beat them in the basketball grand final. And allow me a further indulgence in pointing out that they and the Aussie women’s basketball team (including a certain Hannah Sandeman) won gold medals. How did we feel? Well “included” among many other things. And there was a distinct shortage of cultural Marxists on the streets of Abu Dhabi during those games.